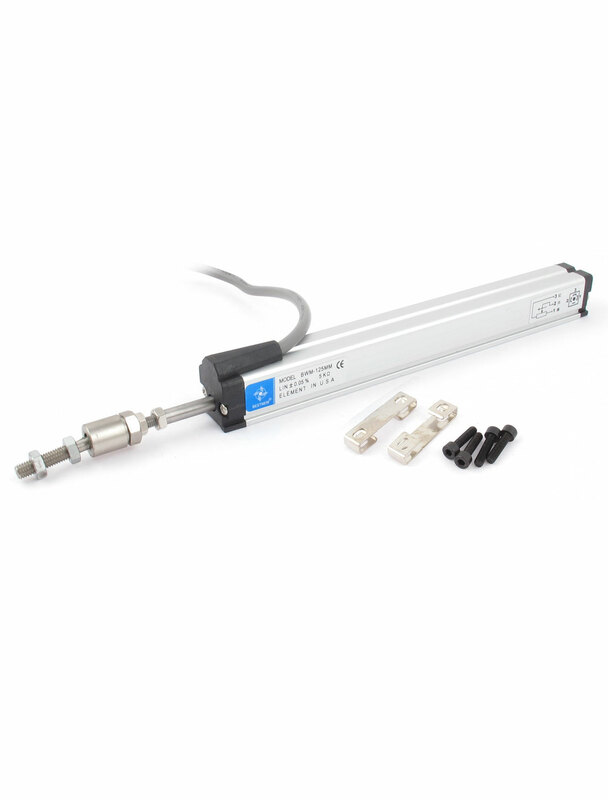 The Sensor Connection Linear Position?Travel Sensor are used to measure absolute?linear motion or position for tracking of a target. Resistive potentiometric element is made from conductive plastic with minimum temperature drift. Widely use for automatic equipments, such as injection molding machine, blowing machine, die-casting machine, printer, etc. Body Size : 169 x 18 x 18mm/6.7" x 0.7" x 0.7"(L*W*H);Wire Length : 129cm/4.2Ft;Universal Joint Thread Dia : M5/0.2";Mounting Screw Dia : M4/0.16"